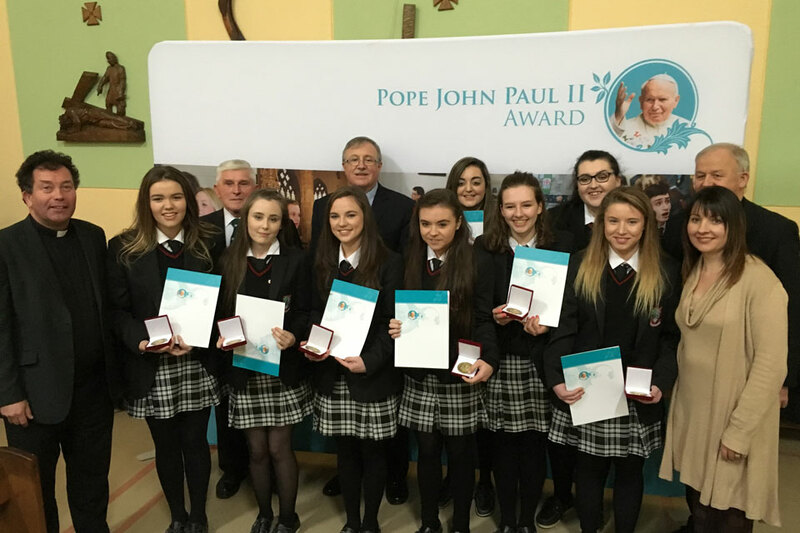 On Monday 21 November, 2016 the diocese of Achonry held their 1st Pope John Paul II Award ceremony in St Nathy’s College, Ballaghderreen, Co. Roscommon. Bishop Brendan Kelly presented the Award to 19 students from secondary schools in Charlestown, Tubbercurry, Ballymote, Ballaghaderren and Ballisodare in the presence of their families, teachers and friends. This first group, is seen as a very important development in the diocese. Monica Morley, of Mid West Radio spoke to the gathering and encouraged the young people to keep deeply involved in their church, making the point that Parish is the touchstone. Bishop Brendan thanked the young people and congratulated them on their achievements. Three of the recipients spoke of their journey through the Award process and it was evident the journey had been good for them. Activities included volunteering in St Vincent de Paul shop, being part of the youth group on our Diocesan Pilgrimage to Lourdes, helping a local priest edit and publish the parish bulletin, joining the Folk Group, being Ministers of The Word and much more. All in all, impressive presentations by impressive young people. Well done to them all. Members of the Knights of St Columbanus were also in attendance. Fr Joe Gavigan, Chaplain to the Knights of St Columbanus, welcomed them all and wished them well. 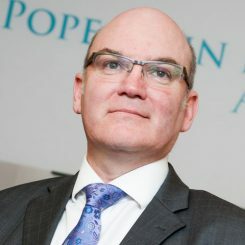 The Pope John Paul II Award is run in 21 Irish dioceses and 2 in the UK. It was launched in the diocese of Achonry in 2014 with the valued support of the Knights of St. Columbanus. Each young person taking part in the Award chooses to get involved in parish life as well as participating in social awareness activities in their locality. If you want to get involved in the Award in the Diocese of Achonry, you can find information and Award resources on the Achonry Award website.